H-D pipe mount stabilizer jack. 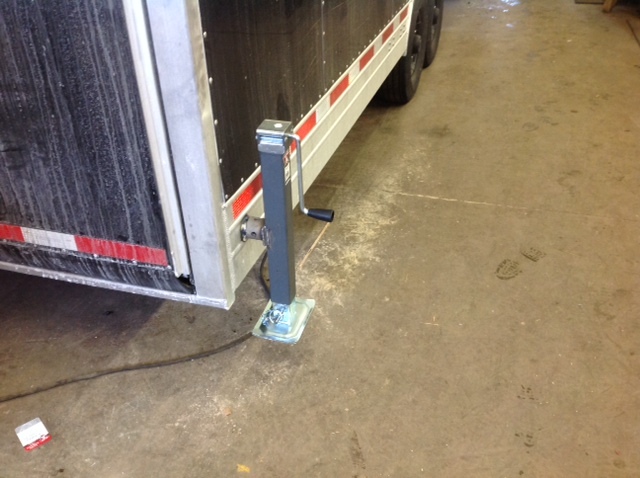 Can be installed on most any trailer. Used to level and or brace trailer for loading/unloading cargo without movement.